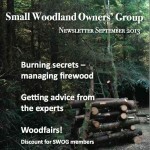 This month Rich discusses effective and efficient firewood management. Sean Harrison of the Surrey Hills AONB explains how expert help can make woodland management a little easier. We also have news of several woodfairs and a discount voucher for the Bentley Woodfair on 21-22 September. Don’t miss Rich’s pictures of Westonbirt here.